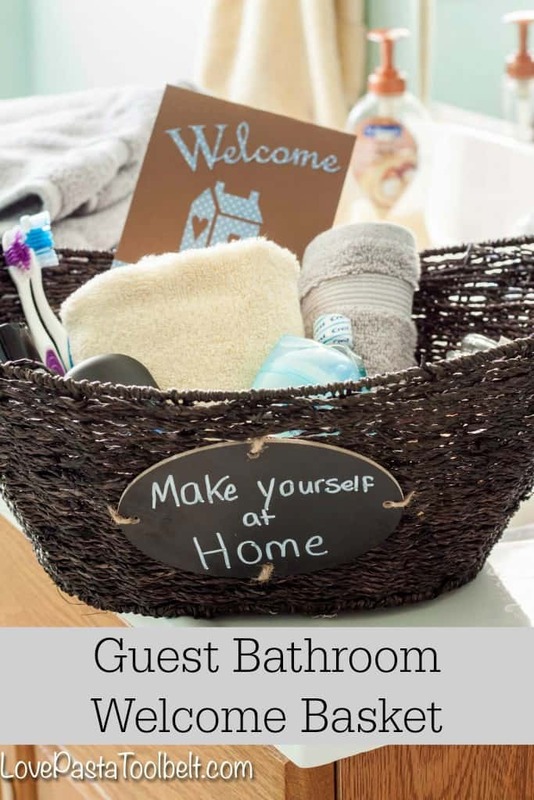 Help your guests feel more at home with this Guest Bathroom Welcome Basket! Lately we’ve been working on getting our guest room and guest bathroom looking better and ready for guests. Since both sets of our parents now live 9+ hours away it’s important for us to have a nice place for them to stay when they come in to town. One thing that I’ve been wanting to make, and finally got around to, is a welcome basket for our guests. I love the idea of our guest area having a little bit of a hotel feel with all of the items you might forget when traveling. I started thinking about traveling and those things you usually forget. 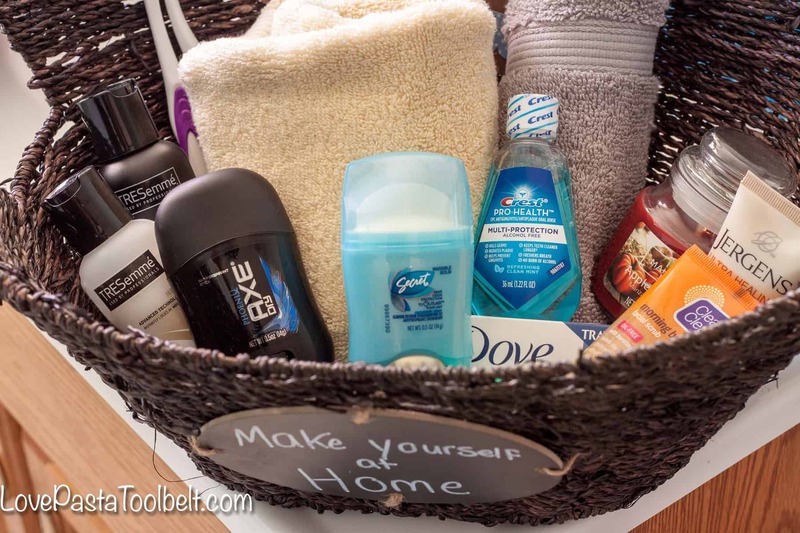 For me it’s usually toiletries, so I decided to create this Guest Welcome Basket for our guest bathroom. 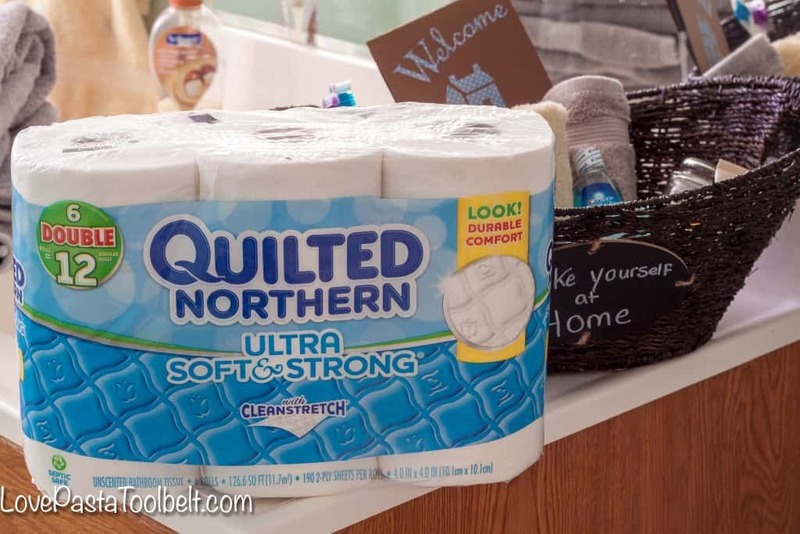 I headed out to Walmart and picked up some Quilted Northern Ultra Strong & Soft Bath Tissue to keep our guest bathroom stocked up. While I was there I also picked up all of the supplies for my welcome basket. I started out finding the exact basket I wanted. It had a little chalkboard sign on the front which was what I wanted. I decided to write “make yourself at home” on the chalkboard part so our guests would know to use anything they needed from the basket. The next thing I made for the basket was a Welcome card using my silhouette. I’m slowly getting more adventurous with my silhouette so I enjoyed making this. I just searched for a welcome card and picked my design and went for it. Next I started thinking about what to put in the basket so I made a little list for you! I purchased all of these in travel sizes to keep the costs low. I loved how this basket turned out and I hope that my future guests will enjoy it and feel more at home! One thing I’ve seen, and did in my basket, was to take the card and on the inside include a spot for my wifi network and wifi password. 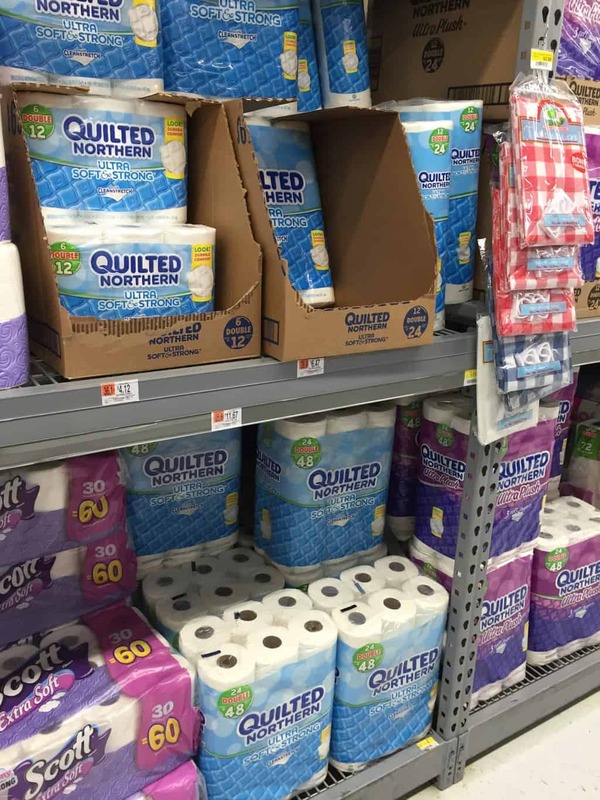 I wanted my guests to have easy access to that because no one likes running up their data! 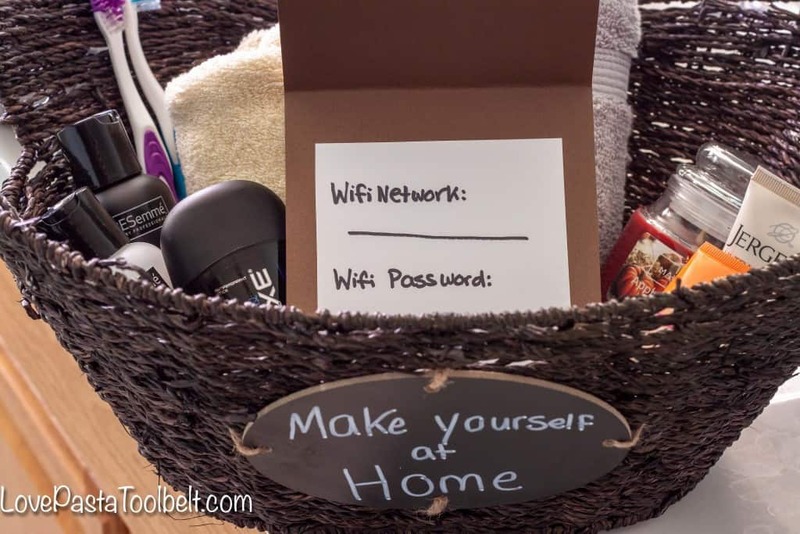 Have you ever made a welcome basket for your guests? 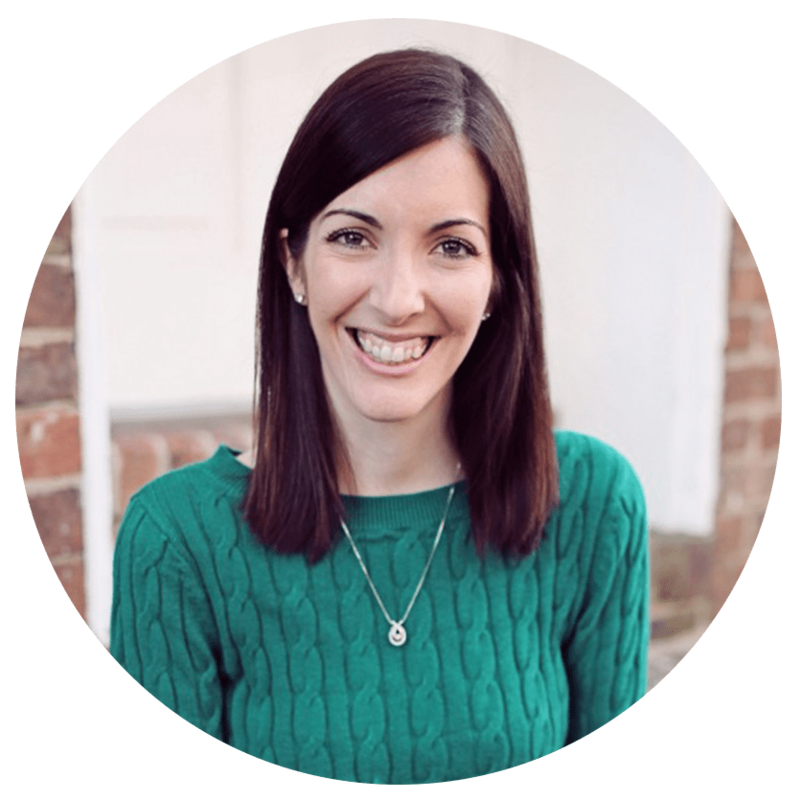 I’m excited to have this one ready for our next guests! What a fun idea! I’ll have to keep this in mind when I move into a bigger place! This is so cute! We have a little container full of bath products, but I really need to frame our wireless info and hang it by the guest bed. Wow, i making one this week. We have lots of guest stay in our basement apartment. I love the list of items to include.